Traditional motifs inspired by European folk patterns lend global style to this stunning throw pillow. 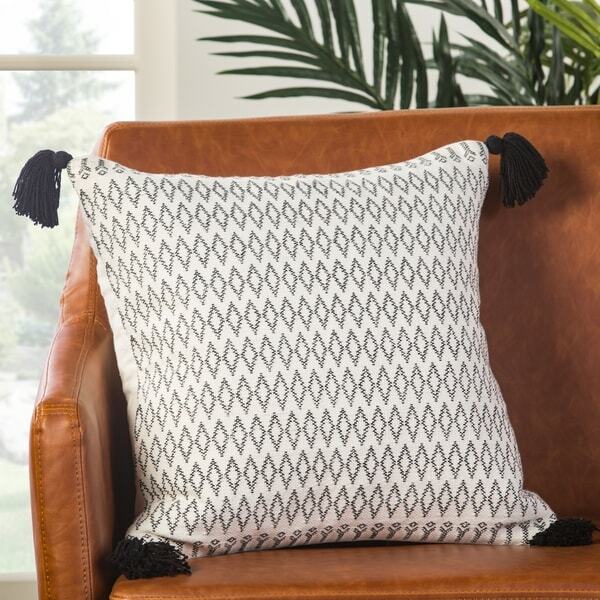 This wool and cotton square cushion showcases a repeat diamond design in a white and black colorway. Black tasseled corners add a bohemian touch.